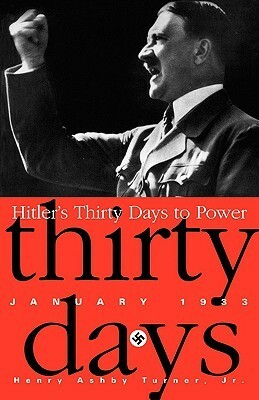 A fascinating, day-to-day, person-by-person review of the 30 days that ended with Hitler being appointed Chancellor of Germany on January 30, 1933. Turner’s conclusions in the final chapter pull no punches. He assigns culpability and guilt, making it clear that it was the ignorance, ineptitude, personal grudges, mendacity, and ambition of the characters in power (mainly Hindenburg, Schleicher and Papen) who gave Germany to Hitler and thus Hitler to the world. Those who supported democratic government in Germany simply gave it up without much of a fight, often because they were fighting with each other. It is true, Turner asserts, that Hitler played the weaknesses of the others brilliantly, but he was only playing the cards he was dealt. This entry was posted on June 15, 2013 at 9:35 am	and is filed under ** RESEARCH for A FLOOD OF EVIL. Tagged: Henry Ashby Turner, Hitler's Thirty Days to Power. You can follow any responses to this entry through the RSS 2.0 feed. You can skip to the end and leave a response. Pinging is currently not allowed.